Living in a Providence home in the gorgeous and expansive Nocatee community is truly vacation-style life at its finest. While this luxurious lifestyle goes for all seasons, there’s something about the summertime that makes each day feel especially magical. This summer, head outside of your Providence home and explore all that Nocatee has to offer, where the best recreation and friendliest neighbors await! World-Class Parks This community is all about relaxation, so when you’re looking to unwind, walking trails and parks are truly in abundance. Enjoy the most peaceful greenery around as you exercise, play sports, dip in the pool, take a leisurely stroll, or even spend some quality time with your furry friends (we have dog parks!) Water Sports Florida truly knows how to take advantage of the water. If you love to get wet and stay active, then Nocatee has the perfect activities lined up for you! 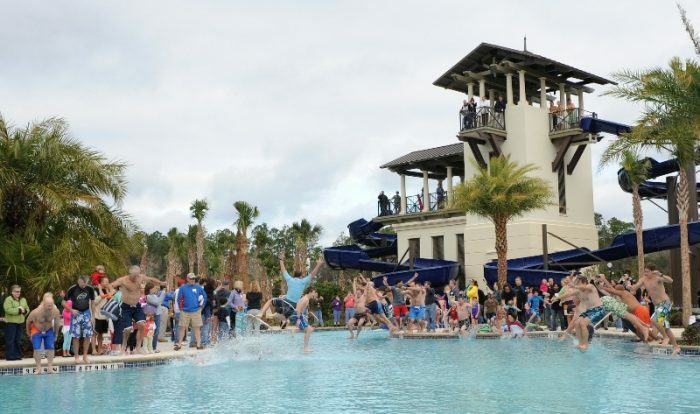 Amenities like The Kayak Launch and Nocatee Swim Club offer the best of the best in H2O fun, where you can seek thrills and get your blood pumping. Splash Water Park Speaking of water thrills, did you know that Nocatee has a water park?! The community’s most popular amenity, residents have unlimited access to this resort-style water playground. You’ll love every minute you spend here with fun, winding slides, the Lazy Tide River, a children’s playground, and so much more! The Nocatee Preserve Every once in awhile, you need to get away and enjoy some peace and quiet to yourself. The Nocatee Preserve offers gorgeous views of the Tolomato River, where you can unwind and recharge with the sound of the tranquil water and local wildlife. This especially beautiful amenity is certainly a favorite! Nocatee Fitness Club Our 5,000 square foot fitness center has the perfect workout for you! With state-of-the-art cardio and weight-training equipment, you’re sure to fall in love with exercising. Meet your friends or workout by yourself in classes of your choice, such as barre, zumba, yoga, Tai Chi, body blast, AquaFit, and more! 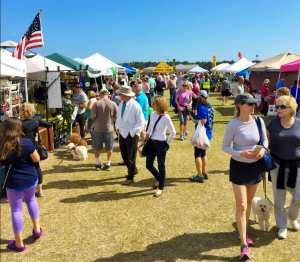 Monthly Events Boredom is a word you’ll never hear to describe Nocatee... Every month, an event calendar is loaded with fun things for you to take part in! From holiday celebrations, to family karaoke, to summer tap takeovers, and so much more, you and your family are sure to make some of your greatest memories here. Jacksonville Zoo & Gardens What better place for an animal lover than the Jacksonville Zoo & Gardens? This magical place offers stunning animal and garden exhibits, as well as education opportunities for the younger kiddos to learn about the importance of animal conversation. Enjoy fun events as well as a discount for residents! Alhambra Theatre & Dining There’s no business like show business! If you’re craving the glitz and glam of Broadway, head to the Alhambra Theatre for an incredible show and delicious meal! The perfect activity with family or friends, this theatre is consistently ranked among top Jacksonville attractions. In Nocatee, the stream of incredible activities never end. No matter what time of day, there’s always something for you to do with old friends and new. A Providence home lets you spread your wings and make every day an adventure to remember! For more information on our Providence homes and communities in Nocatee, please visit our website, or give us a call at 904-262-9898. We can’t wait to speak with you and discuss how our homes will enhance your life!